I hope you get the chance to take a break from everyday life today and spend some time with your loved ones. Here is a fictional diary entry from Helene, one of my characters in From Dust and Ashes. This World War II novel was published in 2003 and I continue to get letters from readers who love this story. You can read Helene’s full story in From Dust and Ashes. 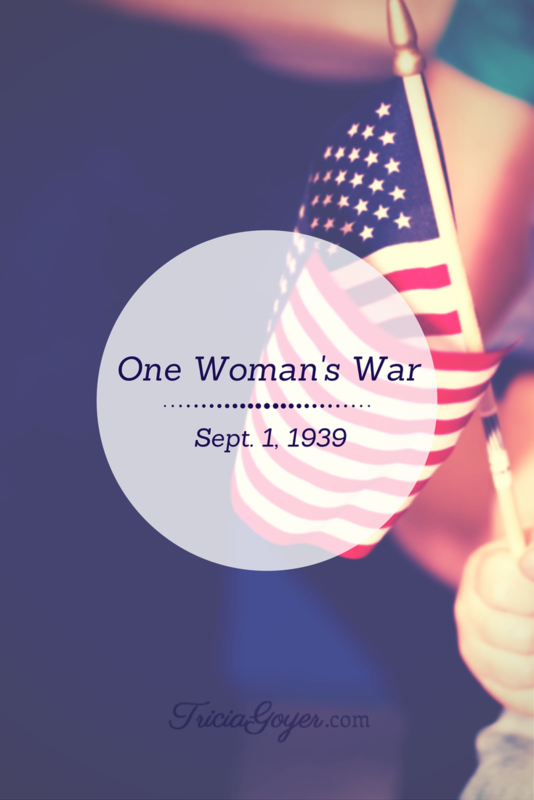 Many years have passed, but I remember September 1, 1939 more than most days. Hitler’s armies had invaded Poland, and Friedrich, my love, left for training. We’d been married a little over a month and the future looked bright. I was a wife, and our country Austria was once again united with the motherland Germany. The autumn weather nipped my nose, but excitement caused my limbs to warm. Our country would be victorious. Our future would be bright. And my love was off to do his part in seeing that our future children wouldn’t live under that same shame and defeat that our parents and grandparents lived under. My father didn’t seem as excited. It’s almost as if he heard the pounding of Nazi books crossing borders and shrunk back in dread. He’d grown up in the village of St. Georgen. What did he know? Father had looked at the building of the great stone fortress with dread, but I saw things differently. I saw it as proof that our enemies would soon be defeated. Years passed and I believed destiny had been kind to us when Friedrich was sent home, to work in the place they called a “concentration camp.” How lucky we were that we could live in one of the new cottages just outside of the new camp, Gusen. It had been easy to ignore the rumors of what was happening behind the stone walls of Mauthausen. It was easy to look away when the prisoners walked down the streets of St. Georgen on the way to the quarry. I witnessed cruelties, but those are the effects of war, aren’t they not? But when the camp Gusen was built just beyond my door I could not always look away. The prisoners matched right past my door, and I was shocked and dismayed. These were not enemy soldiers, but young men and old men. Teachers and doctors. They had not fought on the front. Most were considered enemies for the fact they were Jews. I tried to talk to Friedrich about what I saw, but the pain in his eyes was too great to bear. My tender lover became an animal. Not overnight, but day by day. Atrocity by atrocity. He started drinking then, too. There was hardly a day he didn’t come home drunk. The man I loved was gone. The innocence of my devotion to the Nazi regime was crushed. As I saw skeletal men fighting for one more day, I knew I had to do something. Those poor, poor people drew my pity, and I made an oath to myself that if given the chance I’d do what I could to help them. The day the Americans came to liberate the camp, I offered my help. I had no idea then that when they opened those camp gates that the path to my personal liberation had begun. Friedrich abandoned me that day, but the witness of compassion, after destruction, started a healing in my heart. It was then my life, my eternity, was forever changed. For a chance to win ALL EIGHT novels featured on our blog tour, please visit each blog, collect the answers to the questions, and enter the Rafflecopter giveaway on the BLOG TOUR PAGE. The contest closes September 6, 2014, at 11 pm PST, and winners will be announced on Monday, September 8, 2014. To win the prize of ALL EIGHT books, you must collect ALL EIGHT answers. The winner must be prepared to send ALL EIGHT answers within 24 hrs of notification by email, or a new winner will be selected. You can enter the Rafflecopter giveaway on the blog tour page once each day! The more often you visit, the more entries you receive! However, you only need to enter the Rafflecopter giveaway once to be entered. But don’t forget . . . to win, you must have collected ALL EIGHT answers. Good Luck! Also, don’t leave the answer in the comments. Save them! Then, if you are chosen, you’ll be asked to provide the answers via email. I was wondering where your question is for the World War II Anniversary Tour. I couldn’t find it on the blog. Thank you! It’s in there 🙂 It’s in her journal entry! Sorry Tricia! When I looked at Cara Putnam’s page earlier, the questions were not there. They are now. So some of the writers were putting the question on their blog pages. That is why I was confused. Now the questions appeared, so I can answer them. Thank you! I can’t wait to read your book! I deleted the comments that had the correct answer. 🙂 Make sure you stick to the rules to win! I haven’t read One Woman’s War, but this entry gave me the chills, so I am going to get a copy. Thanks for sharing and also for the WWII Anniversary Tour. Oops, I should have said From Dust to Ashes–LOL! I went to order it and saw that I had the wrong title. I think I’m not thinking well or trying to go too fast–“and”, not “to”. Love from Dust to Ashes, and LOVED this journal entry. Such a fun way to see into Helene’s heart. This journal entry was completely engaging! Sounds like a great book. I will definitely head on to play! I’m also adding “From Dust to Ashes” to my wish list. I hope you get a chance to read some of these books! Thank you, Geni. I enjoy being part! Oh, I would love to win these and pass them on to our church library! That would be cool, Linda! I love your books a lot. You are a gifted writer. After reading the Helene’s journal page from your blog I am looking forward to reading the book. 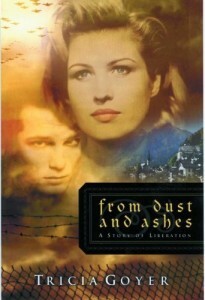 I am adding “From Dust to Ashes” to my TBR pile! I’ve read From Dust and Ashes. It’s a powerful book. We are choosing our books for our church book club and you have come along at just the right time!! Thank you! I think this is a wonderful idea. I don’t know much about WWII even though my Dad served in it. He was in the Air Force and was stationed in London. I wish I’d been old enough to understand better and be able to ask questions. All 8 of these books sound like they will be awesome! I hope you get a chance to read them, Carol! Would love to win these. My dad fought in WWII, but would never talk about it. He was a bomber pilot out of Italy. He went bald while there because of the trauma of what he had to do. I’ve read a lot of fact about the war, but not a lot of fiction. Hope I win, but if I don’t — congrats to whoever does win. You do such great give-aways and i absolutely LOVE your books. Blessings to you and have a great day! Thank you, Tricia, for this giveaway opportunity! Looks interesting! Thanks for the opportunity! This book sounds so interesting, cant wait to read! This looks so interesting, Thanks for this story! Hope you get a chance to read them, Rhinda! Hey Tricia, I’ve enjoyed every book of yours I’ve read and had to let you know that my sister loved the “Moms Night Out” movie…she didn’t know I’d met you on FB and that you wrote books. I found the answer above and no worry’s I’ll not share the answer here. Hugs! Oh, I’m so glad your sister liked the movie! Thanks for stopping by! I am so looking forward to reading this book. I spent several years working for an agency that provides care for elderly and disabled people in their homes. Many of the clients were WWII veterans. While not many wanted to talk about it, some of them would share bits and pieces of their experiences. Even though it was an important victory over evil, it was still heartbreaking to listen to them. Because of my mom’s WWII experiences in Poland, Germany and what is not the Czech Republic, I am especially touched by these stories. I would love to read them all.